This skill is a fun skill to try. And it will help you improve both your movement laterally and your confidence and coordination with the ball. Both balls hit the floor at the same time. These two ball skills improve your coordination and rhythm. See if you can go sideline to sideline without losing your dribble. If you can, then you are closer to mastering this skill on The Periodic Table of Basketball Skills. 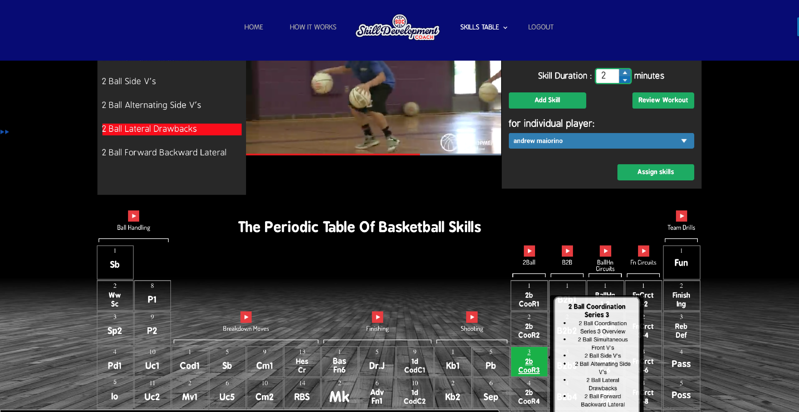 Can you master this two ball skill from The Periodic Table of Basketball Skills into Your Game? If you can, then you will be on your way to learning how to become a playmaker. And the rest comes easy.